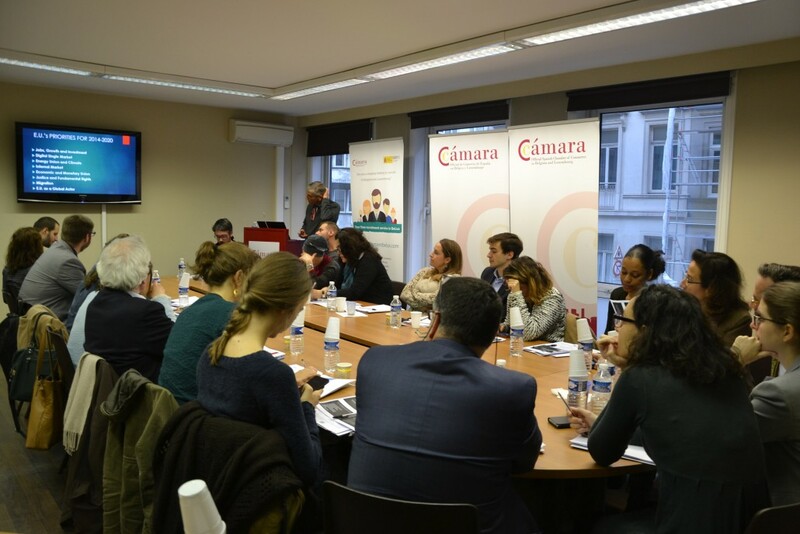 The Official Spanish Chamber of Commerce in Belgium and Luxembourg, in collaboration with Swan Consulting, held the 23rd and 24th of November the workshop on EU Funding – Project Management. This first edition of this workshop, which was attended by 25 people and reached full capactiy, finished with sucess. During two days the attendees got to know the EU funding project management opportunities and how to take part in them. Besides, the EU affairs consultant Jorge Cisneros, who taught the course, explained how to identify calls and to draft proposals. Cisneros encouraged the interaction among the participants, who expressed their doubts, opinions and experiences with the European projects. This led to networking as well as some potential collaborations.